Wow, look at that beautifully plated meal, made by the just-as-beautiful MA. =) My first home-cooked Persian meal (sabzi polo ba with mahi) in patio paradise. Here you see MA's perfectly cooked salmon with the crispiest edges I have ever crunched on. This Atlantic salmon was covered in Persian spices Somag, Golpar, alongside herbs, salt and pepper, garlic and freshly squeezed lemon. 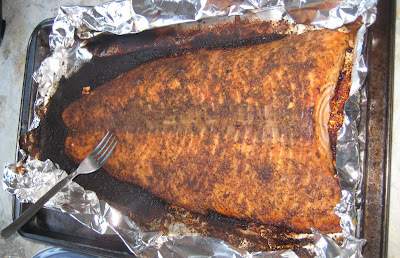 Sent straight to the oven at 450 degrees Celsius for 45 minutes and out comes a tender and moist fish that melts in your mouth. Ohh la la! 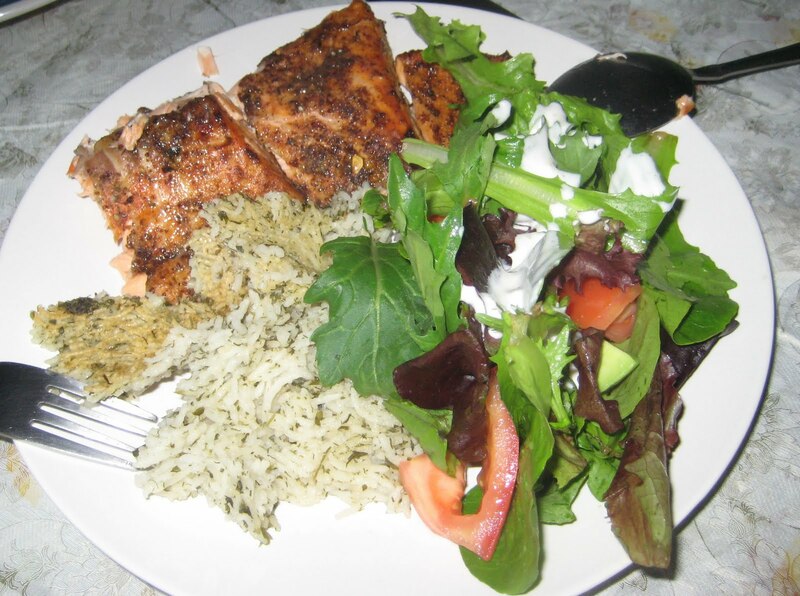 This herb infused basmati rice was a great pairing with the salmon. 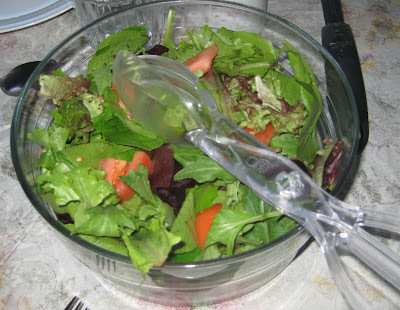 Included was dill, parsley, cilantro, vegetable oil and salt. 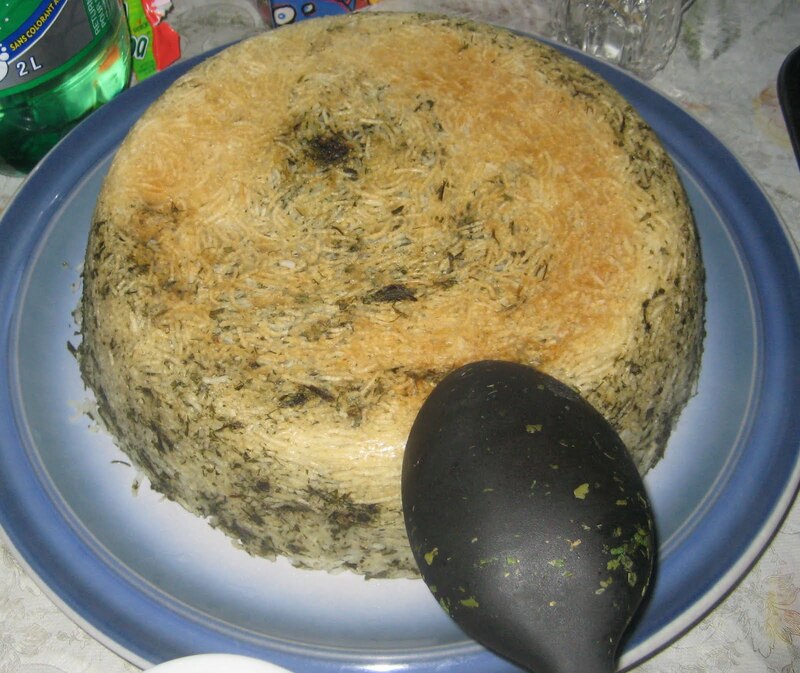 The crispy coating of the rice, tadeek, is the best part! (When cooking Chinese rice, we call it 'fan jew', lol). SO FREAKING DELICIOUS. 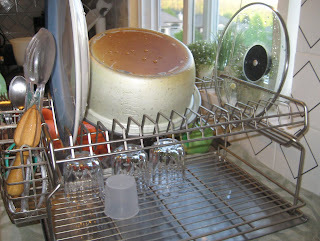 I also have to add that I was so fascinated by her kitchen's modern gadgets! (Modern to me, anyway). 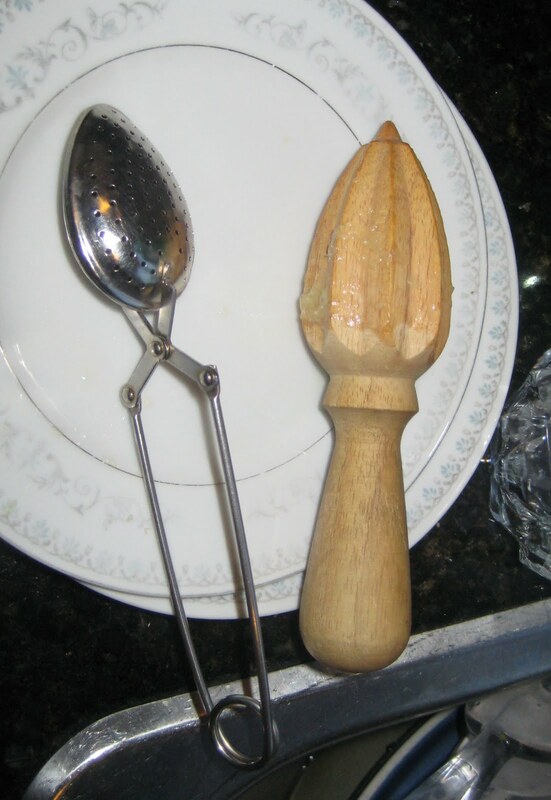 On the left is the tea bag scooper and drainer and on the right, a grind for fresh lemon juice! I just love using kitchen tools for every job possible! 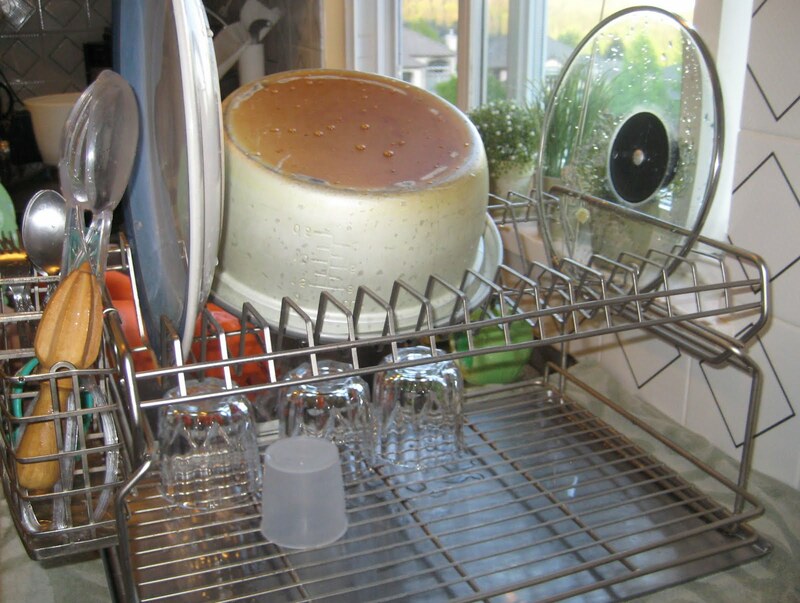 Oh and of course her two-tiered dish drying rack - brilliant!! Thanks again MA, for an amazing meal topped off with our favorite reggae jams and relaxing patio time. You're the best! I crave this meal all the time! =) You should be super confident in cooking because everything was sooooo delicious (see the comment above! ), I kept saying 'omg, remember the dinner we just had guys', all night! Only if you're lucky Anton ... I am keeping my fingers crossed for another lovely meal cooked by MA very, very soon! My food philosophy is simple. Sharing is caring. I love sharing and hearing about food experiences, food recommendations and especially food coupons! Food makes me happy and excited and even on the worst day, looking forward to a tasty meal can cheer me right up. Thanks for reading my blog and I hope that you leave with some food insight or at the least, a good laugh from my honest tastebuds. LET FOOD LEAD THE WAY! My Dearest Persian MA, Don't You Ever Go Away! Love Leftover Food Fillings for Duo Purposes! TGIF - Because I Got To Eat Chicken Rice! Round 2 at The Keg! Two Can Dine for $14.99 ... at Nando's! Can't Go Wrong at The Keg!